Have you been a victim of a worker's compensation accident in Orlando? With over 100 years of cumulative experience behind us, and your future ahead of us, we have the ideal combination of experience and determination to aid you in your claim for injuries sustained while working. Don’t make the mistake of embarking on this process on your own, as it can cost you tremendously. Throughout the years, we have witnessed countless victims like you or your loved ones suffer pain and suffering from the work-related injuries received while on the job. 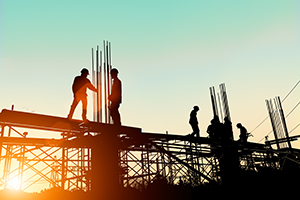 It is the duty of your employer to provide a safe working environment, ensuring as few accidents occur as possible, although that isn’t always the case. If you have been unfortunately involved in a worker’s compensation accident in Orlando, please know that time is a key factor in filing your worker’s compensation claim. Contact us as soon as possible by calling (877) 448-8585 for your free consultation. We are available day or night to speak with you. In order to secure your compensation and medical benefits, you have to act quickly, as there are limitations for how long you have to file a claim. The first thing you’ll have to do is provide your employer “notice of injury” which must occur within 30 days unless your employer has “constructive notice”. Oftentimes the employer has knowledge of your injury because he or she was there or heard about it from a witness to the accident. These injuries can impede you from living your life as you were doing prior to the accident and can cause you physical, emotional, and financial burdens. You deserve compensation for what you have been through. 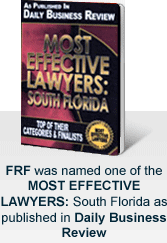 Employers are generally required to have worker’s compensation insurance in Florida. We will seek monies and benefits from the insurance company to ensure that you are taken care of. In the event that your employer does not have insurance, we can still file a claim for benefits on your behalf. Worker’s Compensation is a no fault system. It doesn’t matter who caused your injury. Your employer needs to provide benefits under the law. There are several types of benefits you can receive from your employer’s insurance company which are determined by the extent of your injuries. They include permanent total disability benefits, temporary total disability benefits, temporary partial disability benefits, impairment benefits, medical care benefits including visits with specialists for your care and professional and nonprofessional attendant care benefits. Worker's compensation accidents in Orlando are important to us, no matter the extent of the injuries you or your loved one have sustained. We believe that you should receive the compensation and benefits you deserve, and it oftentimes takes professional help to do so successfully. Our experience fighting on behalf of clients like you against employers and their insurance companies will give you the edge you need to ensure a successful outcome of your claim. Contact us by phone at (877) 448-8585, 24 hours a day, seven days a week, to set up a free consultation and discuss the details of your claim. All of our consultations are confidential and available in English, Spanish, or Creole. We don’t get paid unless and until there is a successful resolution of your claim.